There is just something about the illustration that feels so cartoon-like and therefore, pleasant. I can almost hear “happy” music playing in the background when I look at this sign. 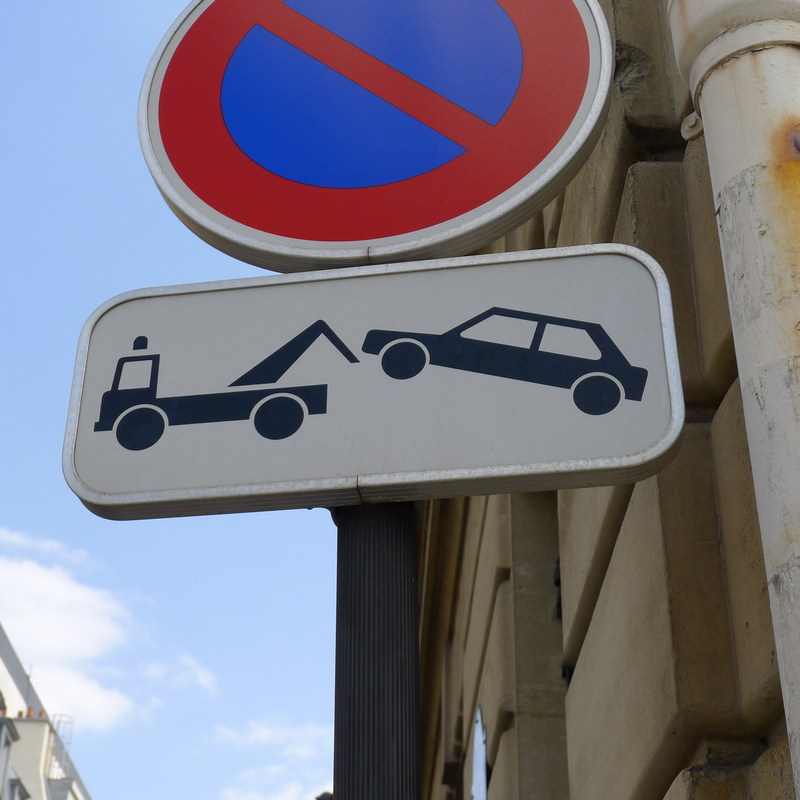 The complete opposite of what I imagine it must be like to collect your car from a tow yard in France — especially if you happen to be an American. Truth be told, the dark side of me finds plenty of U.S. signs like this hilarious as well. Especially the ones warning you of the horrible things that can happen to you if you put your hand in a shredder, or stand on the top step-that-isn’t-a-step of a ladder, or touch a live wire. And I can’t leave out the excellent road signs which also tell you of the dangers that lie ahead, my favorite of which is the one that reads to me like “you will be driving on elbow macaroni soon”. Quite the way to sugar coat the news. You are currently reading Why do I find this amusing? at Some Cozy Night.